The design of the touchless urinal valve assembly changed in March 2007. The K-4915 Bardon™ touchless urinal contains this valve assembly. On the new touchless valve assembly, the solenoid connects to a long corrugated tube that attaches to the stop assembly. The filter screen is located within the connection between the solenoid and the corrugated tube. A gasket is located in the end of the corrugated tube that connects to the stop assembly. 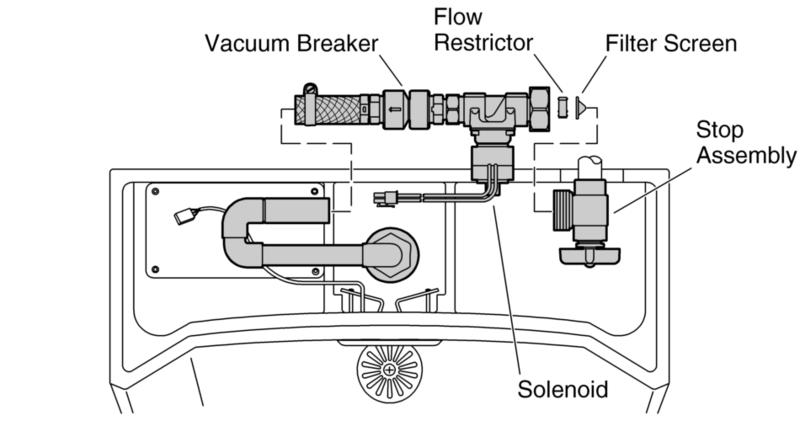 On the old valve assembly, the solenoid connects directly to the stop assembly. 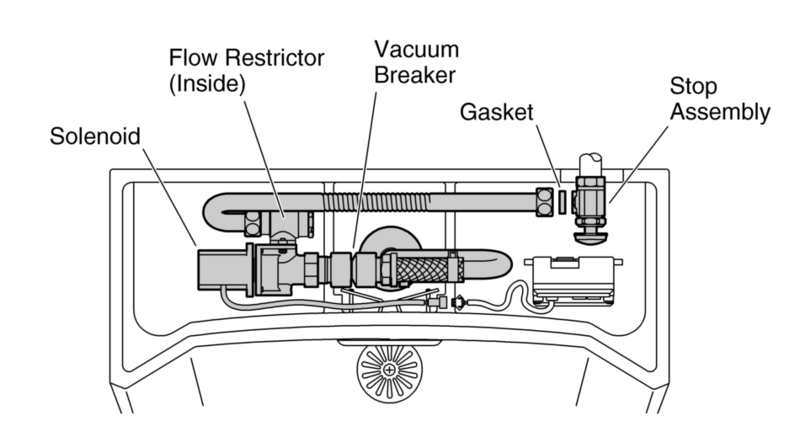 A flow restrictor and filter screen are located in the end of the valve assembly that connects to the stop assembly.